Ex-Banfield, Chivas Guadalajara, River Plate coach hired as coach of the San Jose Earthquakes. Former River Plate midfielder and Albiceleste star Matías Almeyda is heading to the United States and MLS, after being hired as new coach of the San Jose Earthquakes. El Pelado, a former River Plate coach and manager, played most of his professional career in Argentina, Spain and Italy, will be moving to the United States for a new challenge. Most recently he was the coach of Chivas Guadalajara in Mexico. The Quakes made the announcement Monday and said interim coach Steve Ralston would stay in the job for the final two matches of the season. Almeyda will make his debut next season. Almeyda will be following in the footsteps of Gerardo "Tata" Martino, another Argentine coach breaking new ground at MLS team Atlanta United. The San Jose Earthquakes made the announcement Monday and said interim coach Steve Ralston would stay in the job for the final two matches of the season. Almeyda will make his début in MLS next season. Last month, San Jose fired first-year coach Mikael Stahre with six matches remaining and the team sitting at the bottom of the Western Conference standings at 2-9-3, also dismissing assistant coach Alex de Crook. 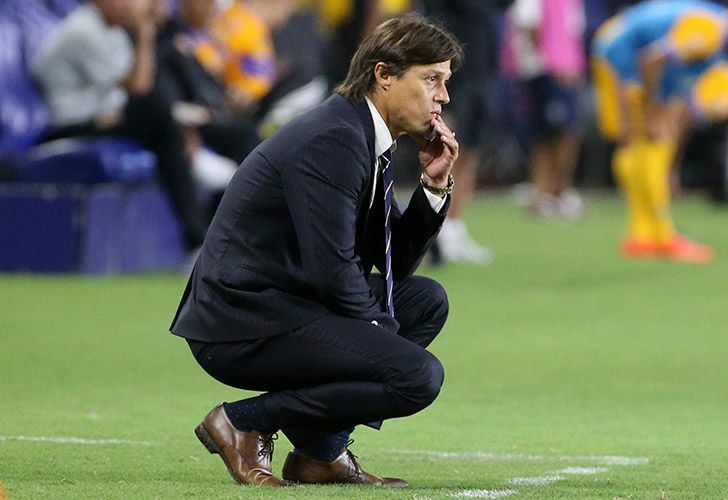 Almeyda, 44, served as Chivas' coach from September 2015 until June this year and led his team to this year's CONCACAF Champions League title. He has guided several players into the Mexican national team squad as well. At home, Almeyda is best-known as a player for his two spells with River Plate, where he began and ended his playing career after rejoining the club in 2009 alongside former fellow teammates Marcelo Gallardo and Ariel Ortega. In June 2011, after the Millo was relegated to the second level for the first time in their history, Almeyda retired from football before being appointed manager the following month. Almeyda spent 18 months in charge at the Monumental, winning the Primera B Nacional and earning promotion back to the top division at the end of the 2011–12 season. He left the club in November 2012 and a five months later joined second-tier side Banfield, who he led to the Primera B Nacional title.